It’s almost Thanksgiving break and travel season within the United States. Students going to visit family, road trips or mini vacations to see different places before exams. If you are a student having trouble finding something to do why not try out beautiful Toronto, Canada. A lively city, with so many things to do that, will make you want to come back. 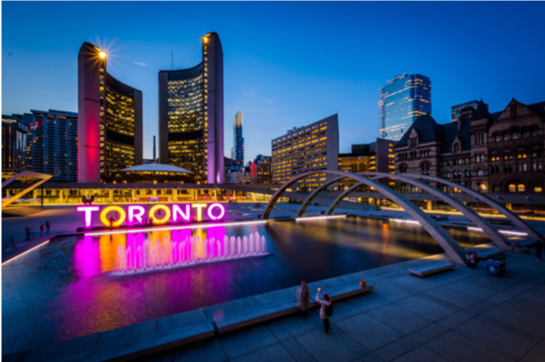 Toronto is located 8 hours driving from Springfield, MA about 470 miles and a quick 1-hour and 20-minute flight from Bradley International Airport in Windsor Locks, Conn.
Driving is the best way to get to Toronto because it gives the best experience. You drive through beautiful forests, multiple mountains that look overflowing rivers and you can see some of that great autumn color on the trees. You also pass through Niagara Falls, Canada and that is a beautiful place to stop and see one of the Natural wonders of the world; only 1:30 away from Toronto with many things to do. Toronto is alive and well during American Thanksgiving, with Canadian’s already have celebrated Thanksgiving in October it has started to become ‘the most wonderful time of the year’. This brings out the time of long nights and brighter lights in the city. Toronto is filled with things to do. A personal favorite is to visit the historic CN Tower. Sitting 1,815 feet in the air in the heart of the downtown. Giving you a 360-degree view of Toronto and on the clearest of days seeing across the lake to Buffalo. Or dive into Ripley’s Aquarium where you can visit a stingray or take a deeper look into Canadian Waters. When in Toronto make sure to visit the cobblestone streets at the Toronto Christmas Market in the historic Distillery District. The sights and sounds will leave you in awe getting you into that giddy Christmas spirit. 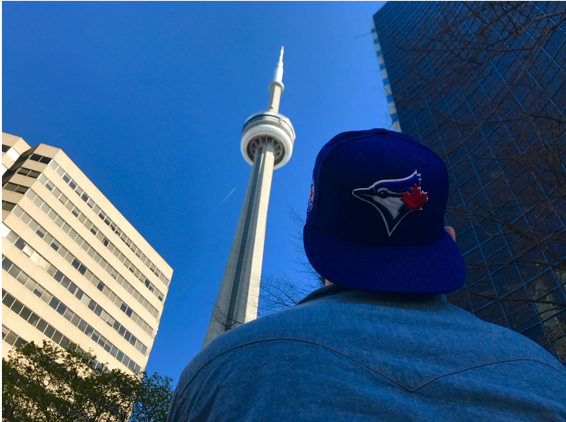 For some lucky AIC students, traveling to Toronto is a treat. “It was a great experience,” said Luis Putnam, who is a sophomore at AIC. “The city is lively, and the people are so nice. It’s a city you fall in love with from the time you step on to the streets or walk into the historic buildings downtown,” he added. Putnam, who is from California, visited Toronto two years ago at Thanksgiving with friends. If you like hockey to be sure to check out the Hockey Hall of Fame. Home to the greatest players jerseys, artifacts of the game and have your picture taken with the Stanley Cup; hockey’s holy grail. The trophy room’s architecture and old-style stain glass on the ceilings will leave you astound with its beauty. If you are ice skating at Young Dundas Square in the heart and buzz of Toronto or enjoying some great food from restaurants like Piano Piano Restaurant or the Old Spaghetti Factory this city has something for everyone and somewhere students can fall in love with as soon as they touch down on the streets. Live, Eat, Laugh, have fun and enjoy the wonders of this great city.